The state of SEO in 2015 – Image Editing Services to UK, USA, Norway, Canada, New Zealand, Poland Etc. Search Engine Optimization is essential because it makes the website easy for search engine and viewers. Here there are a few reasons why you want to move towards SEO. It will increase traffic to the sites, SEO made your site to rank on search engines. It will enhance trust and integrity and Used to promote your brand. SEO is a cost effective method which is suited well to small business also to big business investors. 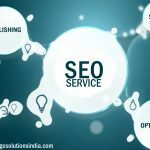 SEO: The acronym for SEO is Search Engine Optimization. By obtaining top rank, your website will have a chance to appear at the top of search engine for your selected keywords and key phrases. And there is a chance to get more traffic for your site. “If your site attracts more visitors, obviously you will get the top ranking in search engines”. Some factors have changed in 2015. Let’s take a look on SEO state in 2015……….